Packed with fun activities including games, doodle and coloring pages, puzzles, and crafts, plus more than 500 stickers, each book in the Ultimate Factivity Collection contains amazing facts and educational information that encourage learning while at the same time improving social, emotional, cognitive, and language skills. The Ultimate Factivity Collection series will keep kids busy and learning for hours! 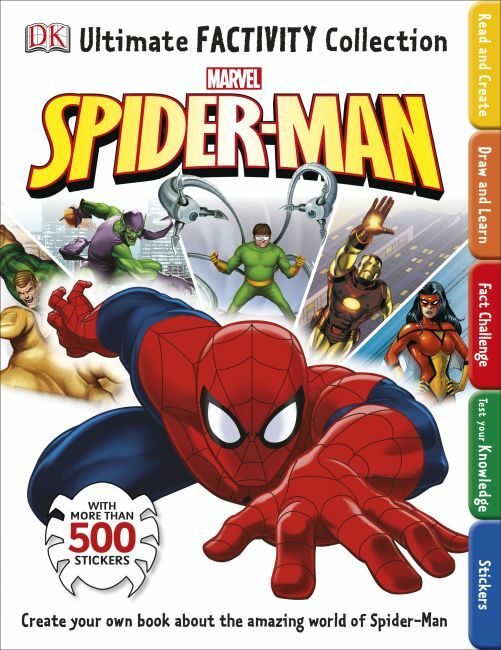 Kids and fans of all ages will follow Spidey on his adventures while learning tons of interesting facts and information about their friendly neighborhood web-slinger, his fellow Super Heroes, and his arch enemies in the all-new Ultimate Factivity Collection: Spider-Man™ from DK. With tons of stickers, activities, quizzes, and more, kids will be busy for hours!